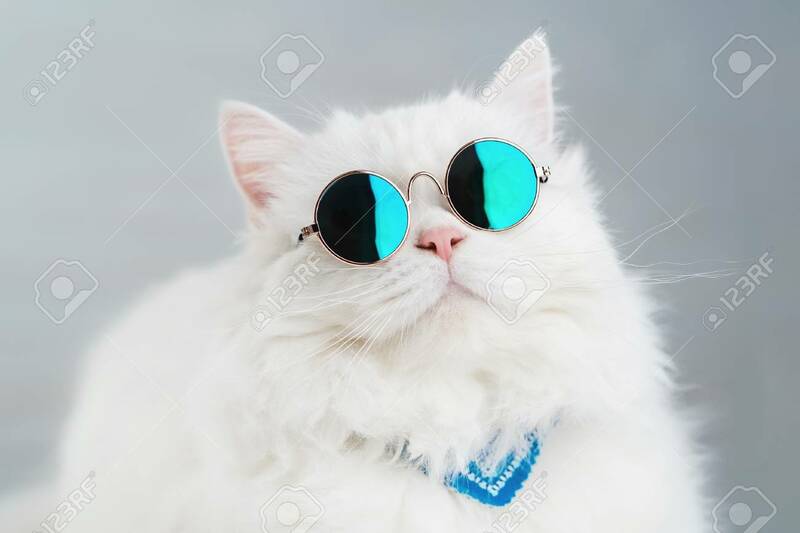 Portrait Of Highland Straight Fluffy Cat With Long Hair And Round Sunglasses. Fashion, Style, Cool Animal Concept. Studio Photo. White Pussycat On Gray Background Foto Royalty Free, Gravuras, Imagens E Banco De Fotografias. Image 113058780.